This is one of the many great features of Windows 7 and If you don't have windows 7 I would definitely recommend it. 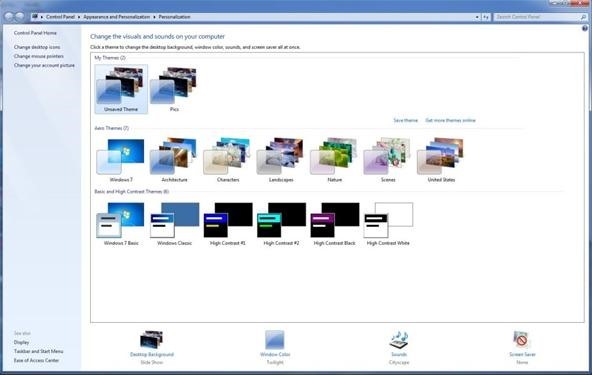 This feature allows you to have multiple background images and windows change them to however often you choose. Go to your pictures library and create a new folder and name it background wallpaper or whatever you want. This is where we will be putting all the images. This is the step that is fun because you are searching for images that you like. 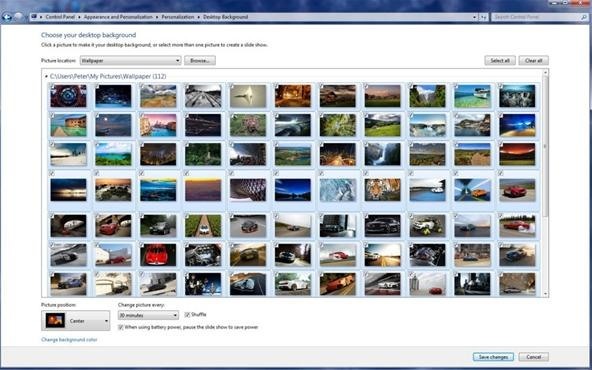 You can save a couple images or hundreds of images, whatever you think will look best for you. I chose to use about 100 and I keep adding whenever I find an image I like. To find some images you can search online, use photos you have taken, go take some photos pretty much whatever you want to get some images. I went to http://interfacelift.com/wallpaper_beta/downloads/date/any/ which has many great images and several resolutions you can use. Also went to http://carwalls.com/ which has great car images if your into that. As you find images that you like you can save them to the folder you made back in step 1. You can save them by using numeric order (1,2,3,4,...) if you want them to appear in a certain order or just save them using the name you want. Now click on one of the pre-made themes because there is no new theme button. You can change color, sound, screen saver and then it will turn it into "My themes". Or you can skip all of that and just click on Desktop Background. 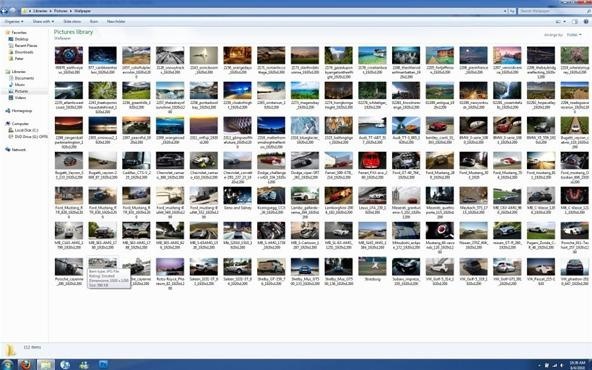 Now click on Browse... and find the folder where you put all your images and you can select all or make your own selection. The ones you select will be showing up as your background images. You can change the picture position, how often the picture changes, if you want to shuffle, and if you have a laptop you can pause the slide show to save power when not plugged in. Finish all the things you like and click save and then finally you will be brought back to the personalization screen and click save theme and you are done.